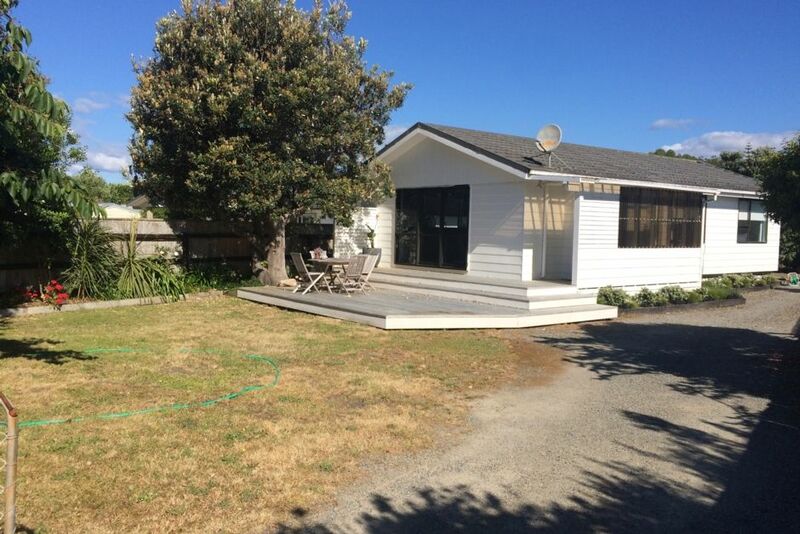 This sunny beach hideaway is just across the road from the beautiful Paraparaumu beach, and set on on large flat section with good fencing. The beach is safe for families and will provide hours of entertainment with swimming, castle building and fishing against the stunning back drop of Kapiti Island. Walking distance to the local cafes and weekend markets mean you can take light exercise if you fancy and reward yourself with a well earned coffee and brunch. A short drive or bus to the golf course, Coast-lands shopping center and train station mean there is something for everyone. This hideaway is also close to well stocked dairies. This Manly street hideaway includes well-presented open plan living, with a great outdoor indoor flow and with ample room to relax and unwind. The heat pump is a welcome addition for year round comfort, or step outside for easy al-fresco dining. The Kapiti Vista Club is also close at hand in the village for meals and entertainment. The club is affiliated with the RSA and other clubs so all are welcome. Courtesy bus is available for pickup and drop-off or half price taxi's for members. This beautifully refurbished home is an excellent option for your Kapiti getaway! Family neighborhood. No big parties allowed. Very tidy and clean family accomodation handy to the beach and shops. Great contact from owners, easy key access, warm comfortable home with all the facilities. We will definately consider staying here again. Thanks Rueben. Nice venue, very tidy and pleasant, clean and fresh. Full marks! Helpful once we got the the Book A Bach/ Homeway web site difficulties. Great once we recieved direct contact with Reuben as owner of property. We loved staying in your very pleasant and comfy beach house. We hope to return! Communication with Reuben very easy. House immaculately clean and equipped with most necessities. Would recommend this as a great family holiday destination. Great Bach. Clean and nicely furnished with everything you need. The Nespresso machine and satellite TV are also an added bonus. We had a great stay, thank you!